The Romans honored their god of fire on the 23rd of August each year. 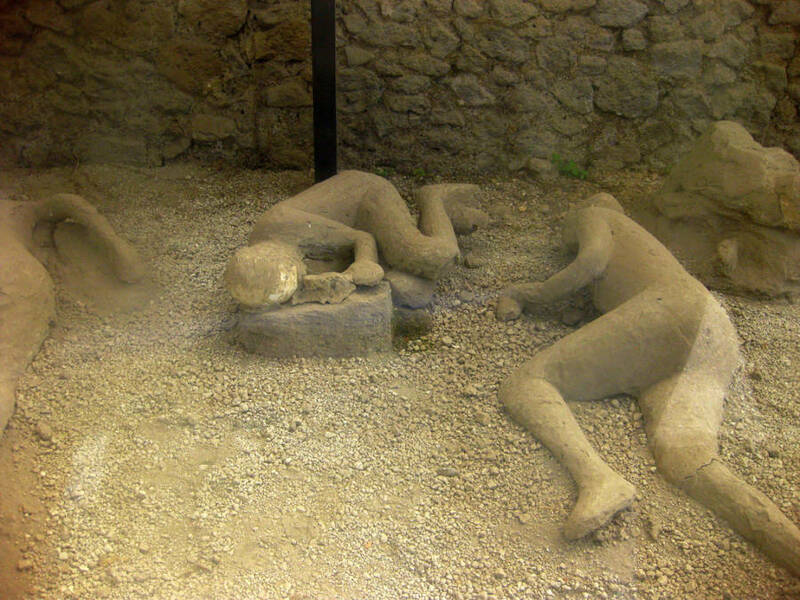 The citizens of Pompeii celebrated Vulcan’s feast day in 79 A.D. as they always did: with bonfires and festivals, hoping to win the favor of the smith-god who labored at his forge inside the mountains. 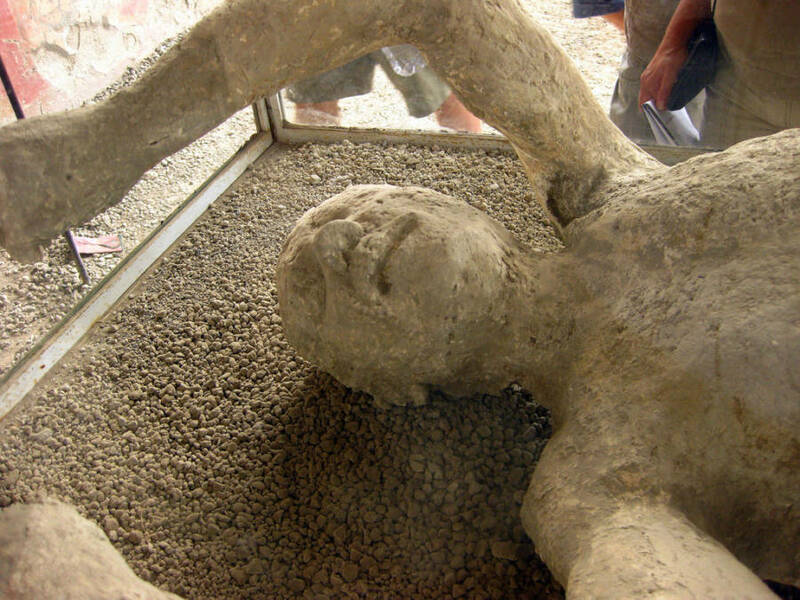 Volcano is derived from the name of the Roman god, and the people who worshiped him had no idea they were about to become victims of Europe’s deadliest one. 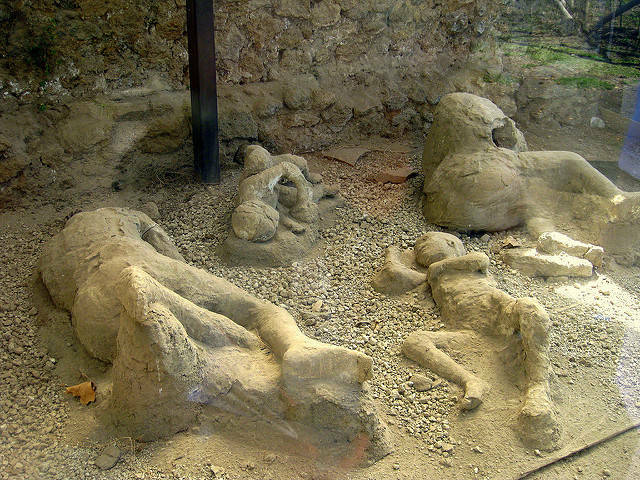 The eruption of Vesuvius began on Aug. 24 and continued into the next day. 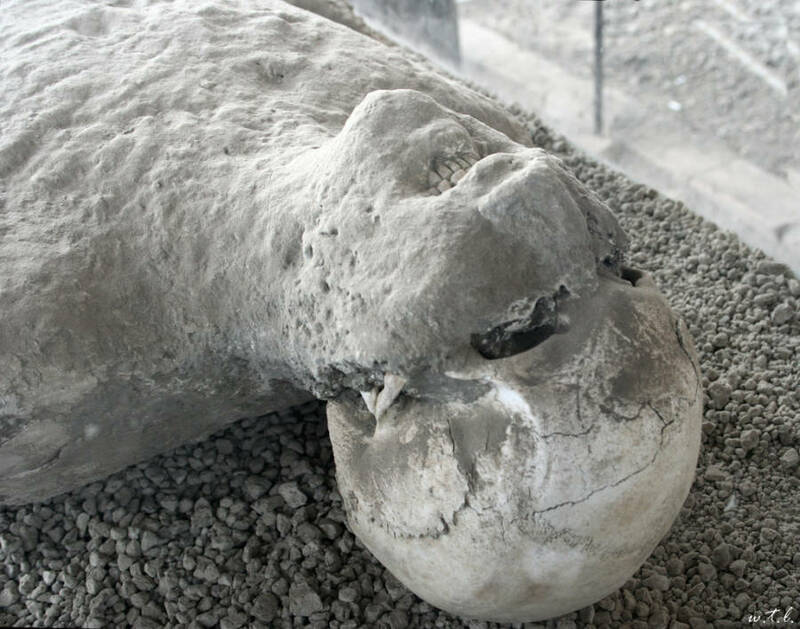 Residents of Pompeii and nearby Herculaneum who decided to stay put rather than flee met their ends when a blast of ash and noxious gases barreled over the city walls at over 100 miles per hour, killing every living thing in its path. 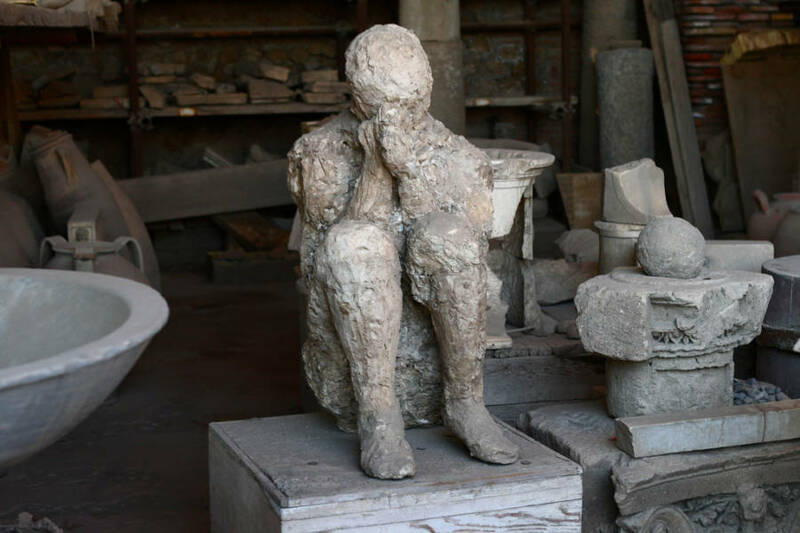 Ash from Vesuvius continued to fall over the cities until they were completely covered in layers of debris that consumed all but the tallest buildings. 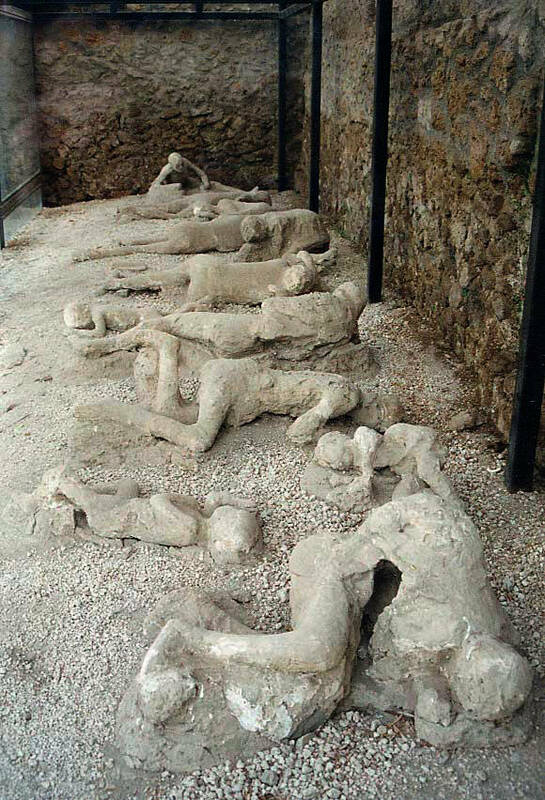 Ironically, although the blast destroyed Pompeii and Herculaneum, it also perfectly preserved them. The cities and their citizens remained exactly as they had that summer day in 79 A.D., frozen in time under layers of ash for over a thousand years. The lost cities proved to be a dream come true for archaeologists, yielding a trove of in-tact artifacts that remained in near-perfect condition that had lain undisturbed for centuries. 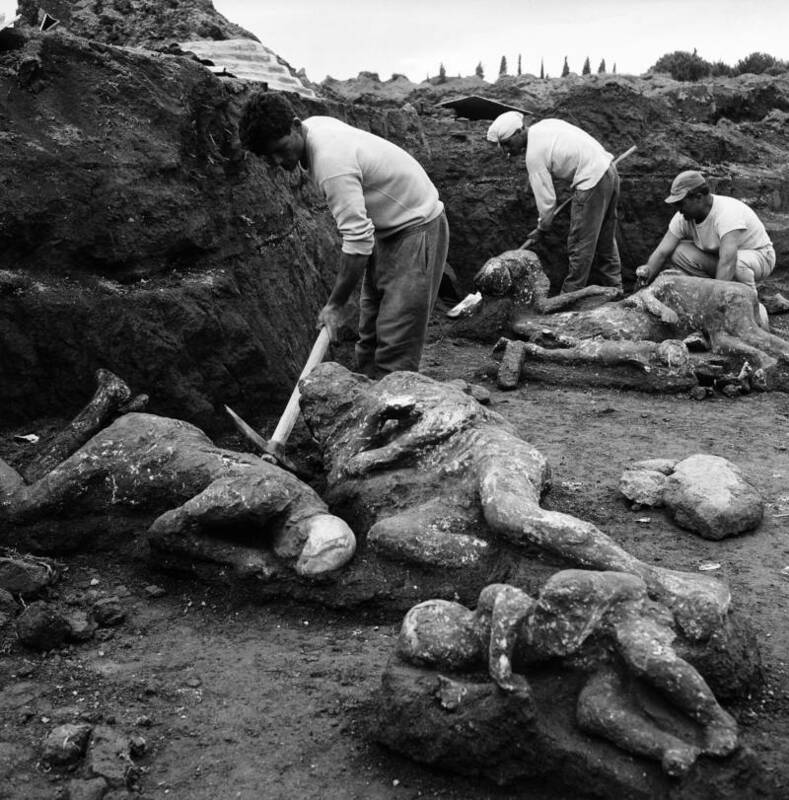 Not only had the city structure been preserved right down to the graffiti, but the excavations at Pompeii and Herculaneum provided a truly unique archaeological treasure: actual Romans. 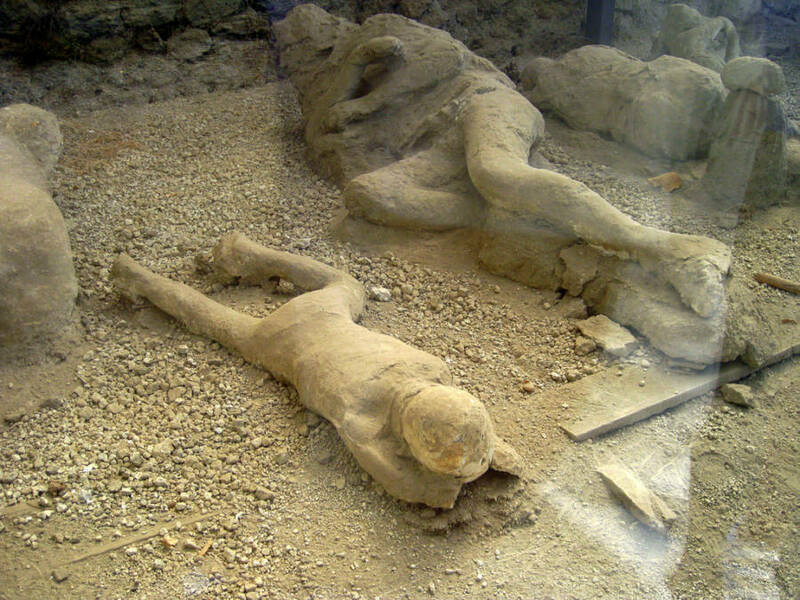 Excavations of Pompeii began accidentally in the 18th century, when builders constructing a palace for the Bourbon king discovered the lost city while digging. When the remains of a young woman were found in 1777, the excavators noticed they could clearly see the outline of the rest of her body in the ash that had encased her. 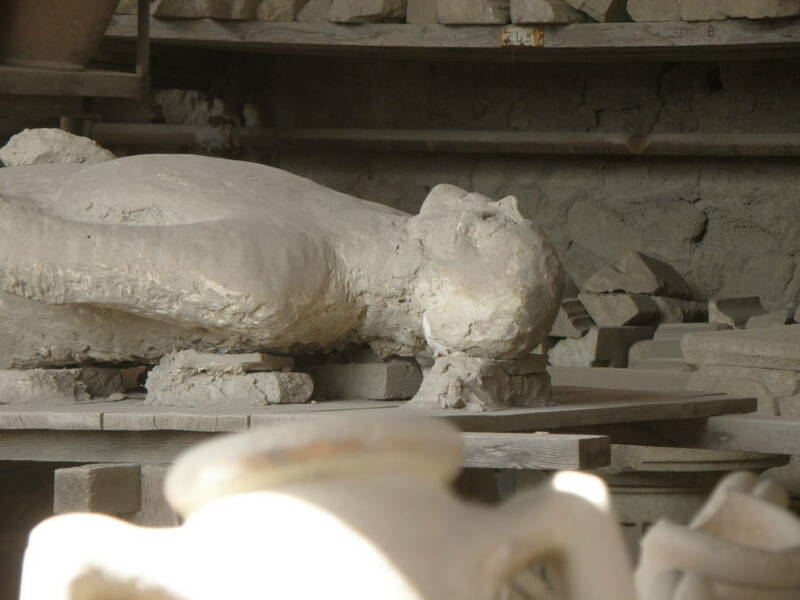 It wasn't until 1864 that the Giuseppe Fiorelli, the director of the excavations, came up with an ingenious idea for reconstructing the bodies. 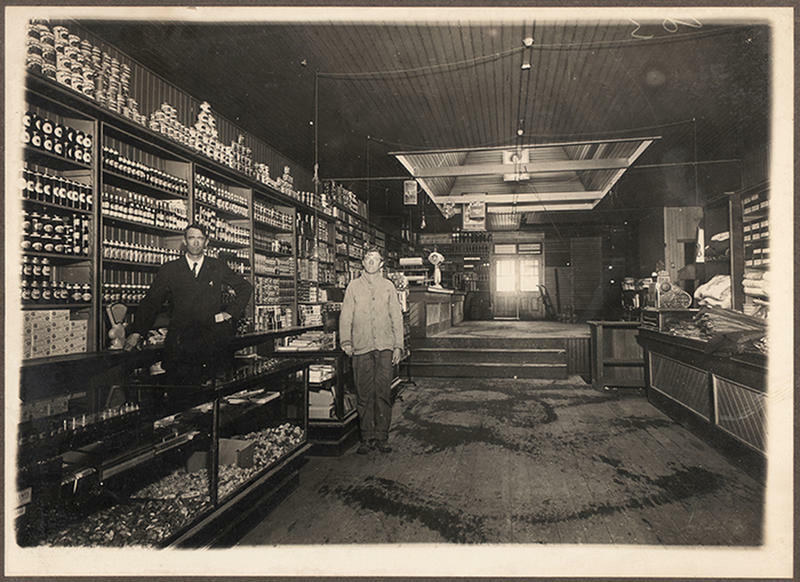 After discovering several air pockets that indicated the presence of human remains in a street dubbed "the Alley of Skeletons," Fiorelli and his team decided to pour plaster into the voids. 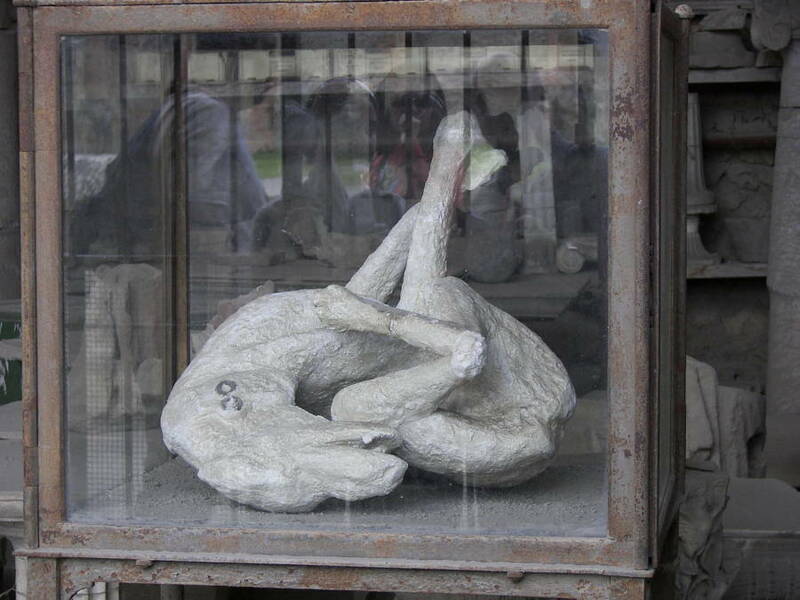 They let the plaster harden, then chipped away the outer layers of ash, which left behind the cast of the volcano's victims at the time of their deaths. Many of the victims remain frozen in contorted positions, some had been trying to shield their faces with their hands, one mother was found desperately trying to shield her child. 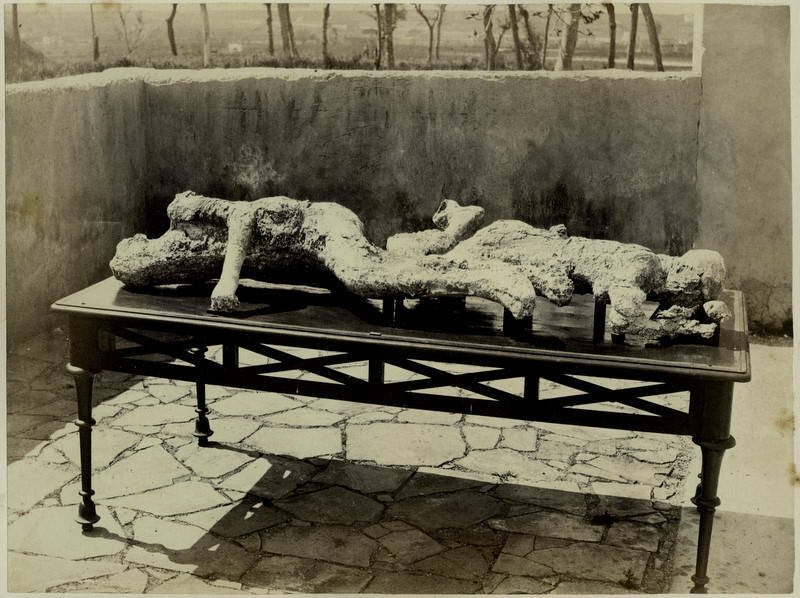 Without the adornments of toga, tunics or any other clothing that would indicate the period during which they lived, the bodies of Pompeii seem as though they could have been from last year. The eerily preserved expressions of horror and pain certainly transcend the centuries. 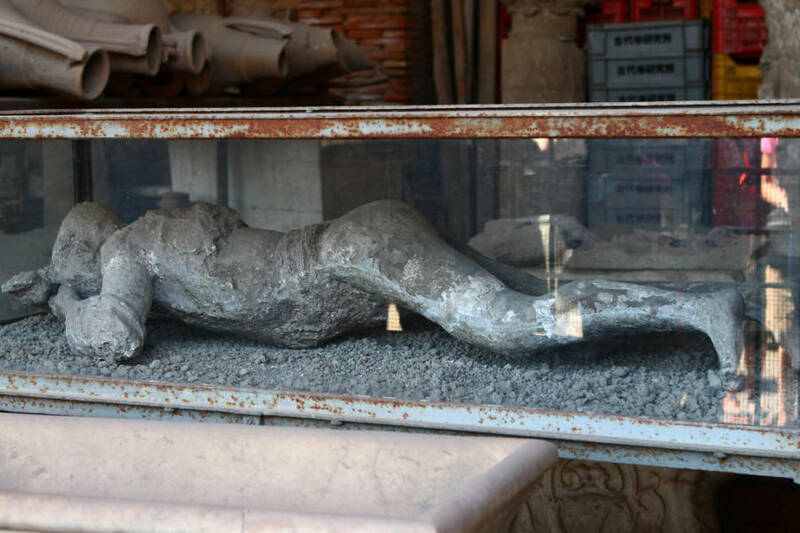 The body casts are on display in the excavated city of Pompeii and they are a powerful reminder that despite the millennia that separate us, the people who lived there were as human as we are.